A sulfate-free conditioning and cleansing shampoo for color treated hair that gently strengthens hair from root to tip. 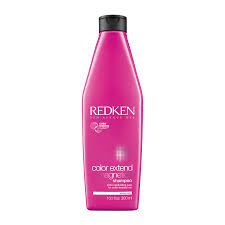 Uses Redken's IPN technology and amino-ions to leave color treated hair 3x more fortified*. Contains Redken's signature IPN technology.